SUP TECHNIQUE: SURF BETTER NOW! Who wants to surf worse? That’s right, no one! Surfing better is where the party’s at. Some people spend a lifetime chasing it, others have just a few hours between changing nappies. From seasoned pro to weekend warrior, it’s the goal that unites the tribe. So what are the secrets to success? 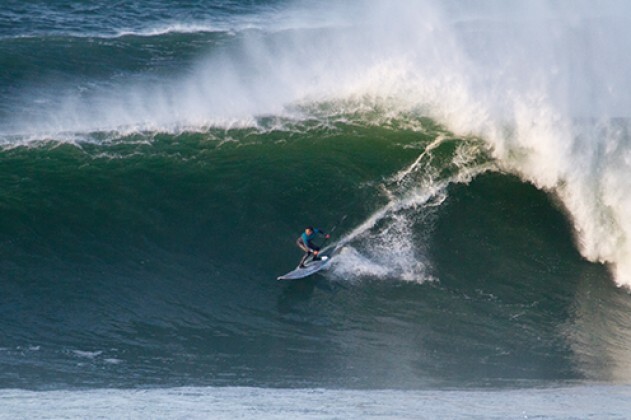 4x Irish champion Finn Mullen is the first to admit he wants to know too but in the pursuit of the perfect ride here are his top ten tips to guide you on the eternal path to surfing better. Good surfing comes from the heart but better surfing comes from using your head too! Always keep your head centred over your body and look where you want you your board to go. Set the lip or white water as your target and don’t take your eyes off it until you hit it. For wave riding, especially in smaller waves and on smaller boards, shorter paddles give quicker paddle transitions and more control with the blade closer to your body. Experiment with 1-2 inches above your head to start, preferably with an adjustable paddle to see what works best for your style. Some pros have their lengths set at nose-mouth level, we’re all different, but as far as surfing goes, a paddle much shorter than the standard 6-8 inches above your head for flat water paddling is the norm these days. Ever wondered why the pros have their coaches and girlfriends lined up on the beach with video cameras? The number one tool for improvement is watching yourself on screen. You may feel like literally shooting yourself afterwards but getting caught in the act of the dodgy turn will soon have you seeking redemption and checking out YouTube to see how Kai Lenny does it. One of the best things about SUP is how the paddle can power your turns but with great power comes great responsibility – stabbing at the wave is a style killer, watch the pros and you’ll soon see the subtle art of their paddle position and motion. Turning a SUP is all about getting on rail and it is the paddle that enables you to press the rails hard enough without falling in. Skimming the blade of the paddle across the surface as you lean into the turn offers a way to lean into the rail yet balance yourself. Today’s SUPs aren’t designed for you to place your back foot anywhere but on the tail. With all the intricate vees and contours shapers are putting from the fins back, you’re doing yourself and your high-performance board a disservice by having your back foot not over that part of the board. You can shift your weight forward while you’re pumping down the line for speed but be on your back foot as you go into most manoeuvres. The sweet spot is with your back foot firmly planted on the last eight inches of your board—directly over your cluster of fins. If you’re not on the tail, prepare to fail! Monkey see, monkey do. The best way to become a great surfer is to surround yourself with great surfers. For some this may involve travelling, stalking their favorite pro or entering a competition and feeding off the energy of your peers, however you do it the message is clear, surfing with rippers helps you learn and more importantly push your limits. Ever wonder what makes good surfers seem so effortlessly stylish? Well, it’s their ability to read the wave and not force manoeuvres and take only what the wave offers. Sometimes that might mean slowing down, not rushing turns or waiting for a proper section to bash. Good surfing comes from flow, and by tapping into the flow of the wave you turn on the tap for good surfing to flow! I once saw a video of Kelly Slater training, he was lifting some light weights, no big deal right? Well, if you watched closer you saw Kelly had one foot on an Indo board and the other on a deflated ball. There’re no shortcuts for time on the water to improve but if the world’s best surfer is training on land then so should you. One look at the CV’s of the world’s best paddlers and there’s clearly a lot you can do in the water too ifyou prefer. Windsurfing, surfing and kitesurfing are the obvious choices that crossover but the moral of the story is ‘rippers stay in shape’. Balance boards, exercises with your own body weight and any form of stretching should form the core of your dry dock work when back on land.